Pitcher and catchers report on February 14, while position players are expected to report by Feb. 19. 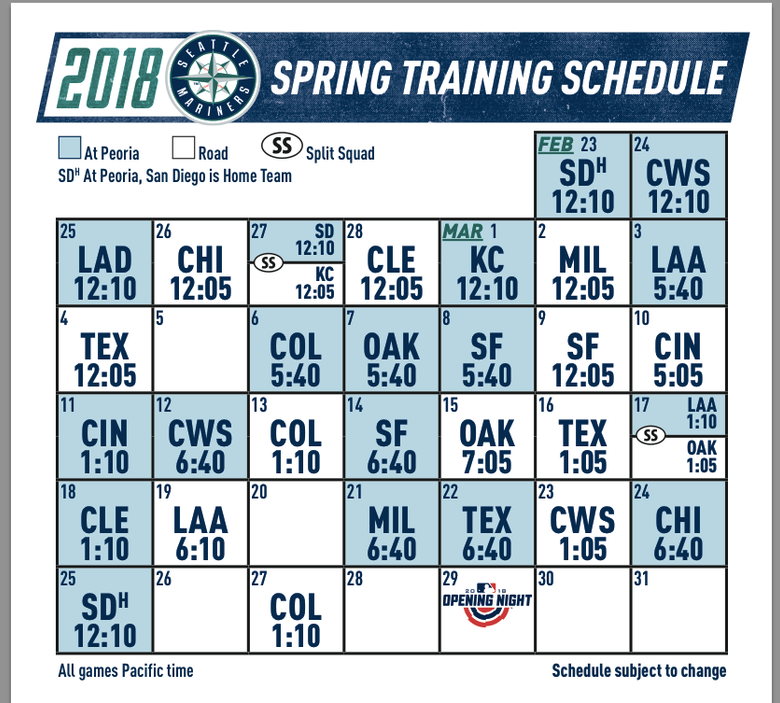 The Mariners released their spring training report dates and 2018 Cactus League schedule on Monday along with the rest of Major League Baseball. The all-important pitchers and catchers’ report date for Seattle will be Valentine’s Day — February 14th for those that don’t know — with a workout the following day. Position players will report on Feb. 19 with the first full squad workout on Feb. 20. With everyone in MLB opening the 2018 regular season on March 29, spring training report dates are minimally ahead of typical years without the World Baseball Classic. One thing should be noticeable upon first glance of the schedule is the increased number of night games this spring. Of the Mariners’ 16 home games played at Peoria Stadium, nine of them will be at night, which is more than double typical seasons. It’s due to “scientific research into the performance-related benefits players can derive by maintaining regular sleep patterns, and the desire to prepare them for the routine of regular season start times,” per the schedule release. 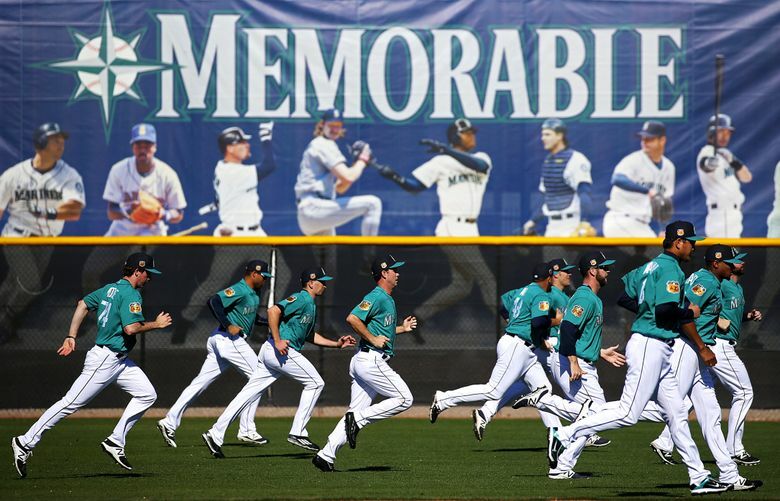 The Mariners morning workouts before games will also start later than in past year. This is something that was being discussed as early as last spring when multiple studies on performance and sleep patterns were released. Because the majority of regular seasons games are played at night, having a spring training with so many early mornings seemed counter-productive to the Mariners’ front office. Information about which games will be televised by Root Sports or broadcast by ESPN 71o will be released at a later date. For those interested in buying tickets: A special presale of 2018 Spring Training single-game tickets for Mariners season ticket holders and Mariners Mail subscribers will take place beginning November 29. Single-game tickets will be available to all fans, online-only (Mariners.com/Tickets), beginning Saturday, December 6 at 9:00 am Pacific. The Peoria box office opens on Saturday, January 27, 2018.